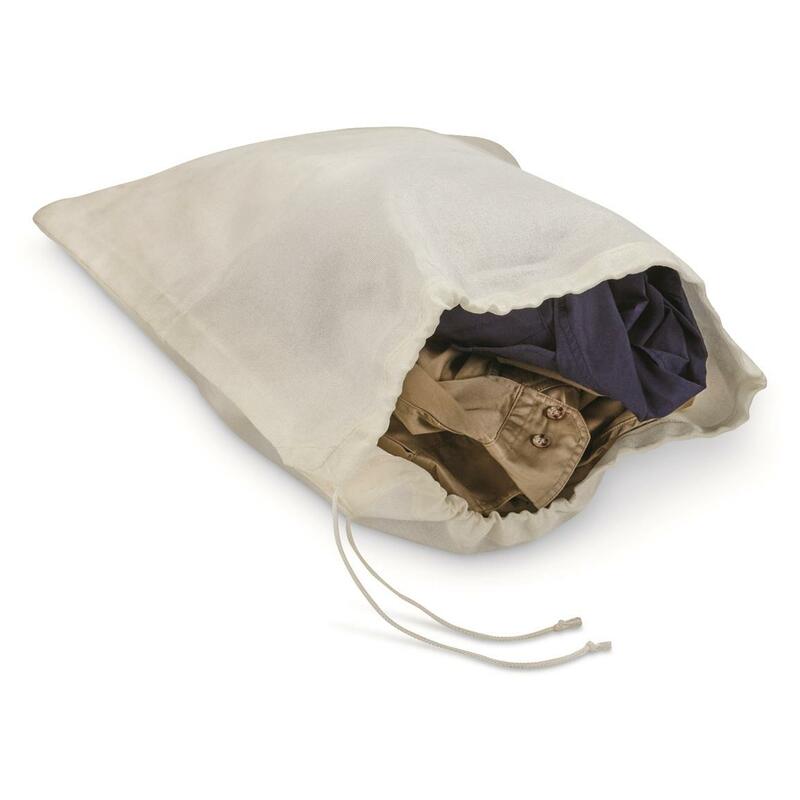 Constructed from 100% heavyweight polyester, these Italian Military Surplus Laundry Bags are built for long treks to the basement or laundromat. Drawstring top keeps your socks and undies secure during transport. Brand new, but may show signs of long-term storage. Includes 6 Laundry Bags. Each measures 25" x 19"